The children come into the main church at the beginning of the morning service to join with the adults in singing and Bible reading. At 10 am, before the main message, the children follow their teachers to the Sunday School classrooms. Nursery. 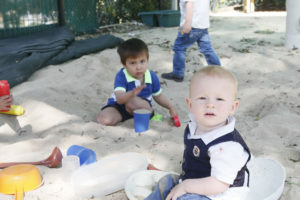 We have a nursery where children under the age of two are cared for. Preschool. We also have a preschool group where your child can attend a Sunday School class which includes a variety of stories, crafts, play and music. Kindergarten – Year 3. Your child will be blessed by a Sunday School class that teaches them about God. The teachers use games, activities and stories from the Bible. Year 4 – 8. Our Sunday School class for this group is specially designed for their age, as they understand God’s desire to have a close, personal relationship with Him. In addition, we have nursery and children’s activities provided during our Sunday 1-4pm Bible Study and our Sunday Evening Service 6-7.30pm.